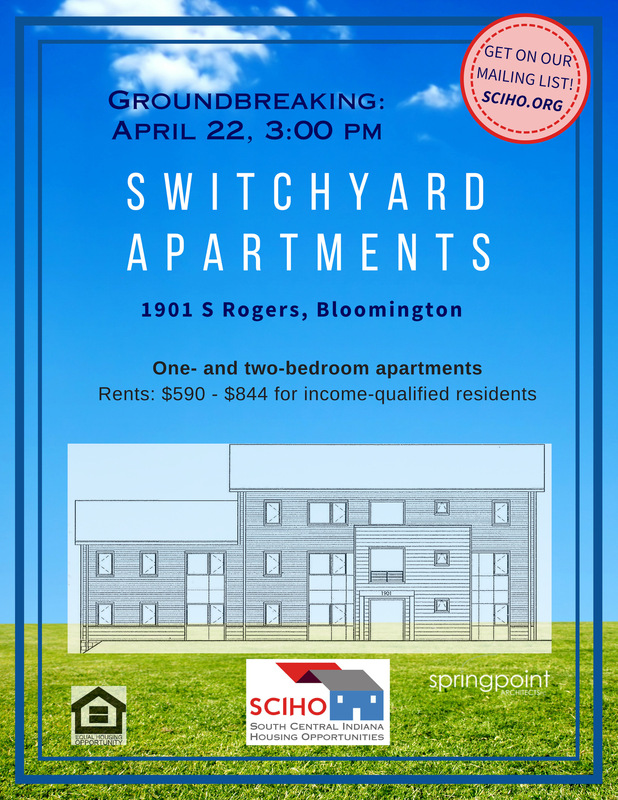 South Central Indiana Housing Opportunities is pleased to announce a groundbreaking for Phase 1 of Switchyard Apartments! Where: On the site at 1901 S Rogers St., Bloomington. Phase 1 of Switchyard Apartments will include eight 1- and 2-bedroom apartments for low-income households, including 3 units reserved for clients of LifeDesigns. NOTE: Parking is tight with the Switchyard Park construction also going on. However, the Warehouse, 1525 S Rogers, has generously offered use of their parking lot for this event. Lowe’s Charitable and Educational Foundation* – a $21,000 grant for Switchyard Apartments for upgraded interior doors and landscaping for the project. Lowe’s, a FORTUNE® 50 home improvement company, has a 50-year legacy of supporting the communities it serves through programs that focus on K-12 public education and community improvement projects. Since 2007, Lowe’s and the Lowe’s Charitable and Educational Foundation together have contributed nearly $250 million to these efforts, and for more than two decades Lowe’s Heroes volunteers have donated their time to make our communities better places to live. To learn more, visit the Lowe’s Open House digital newsroom at newsroom.lowes.com or follow @LowesMedia on Twitter.